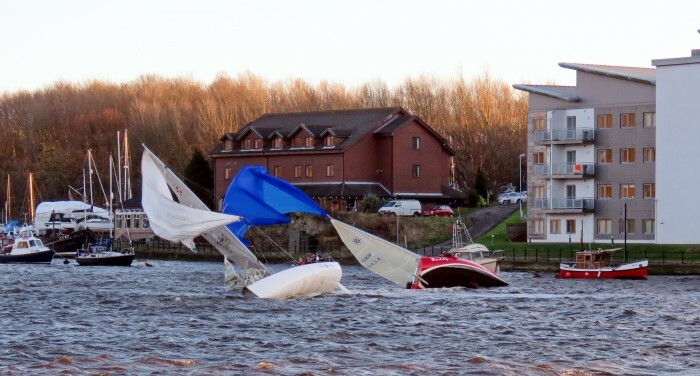 Every second Sunday during the winter months our boss Andy goes frostbite racing on the river Tyne, it's raced in a mixture of Sigma 8 and Cork 1720 sports boats. Breezy, its the Corks that tend to win, lighter winds the Sigmas with their mast head kites usually come out trumps with their ability to sail dead downwind. The racing is very competitive and tight, and on a relatively narrow river, if it's windy, the margin for error is small if the mast head kite is pulling well and suddenly the wind changes 30 degrees, the steel piles carrying the riverside walk are never more than 100 metres away. However, if you are running into the tidal stream it pays to hug the sides as the tide is invariably slacker by up to three knots and if you are lucky you sometimes can pick up a back eddy! Seasoned Sigma sailors in the know always carry a spare pair of underpants onboard if the breeze is up! Speaking of luck, with two wins under their belt from the last two races, our boy took to the river this past Sunday in a confident mood. However, on the second run in an effort to get up close to the leading Cork up went the big mast head kite and 30 seconds later their luck ran out, the wind shifted 40 degrees. A Chinese gybe was inevitable as was the coming together with the 'wall' ! Shame they were not sporting one of those superb Dutch bow fenders that we started importing the other week, shame they left their fenders on the marina in an effort to keep the weight down and shame the foredeck man (Andy) was not carrying one of those excellent blunt nosed knives we stock. 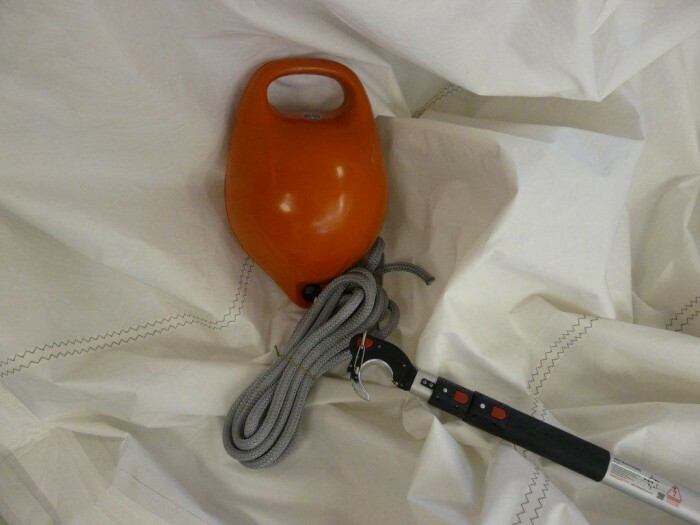 With its serrated blade it's ideal, amongst other uses, for cutting the spinnaker halyard at the mast exit point if the wall is approaching at ten knots and the halyard won't come out of the cleat! This entry was posted in General Interest, Safety, Top Tips Tuesdays, Gift Ideas and tagged Fenders, Bow fenders, Safety Knives, Safety on February 23, 2016 by Rob Storrar. Three years ago in one of my earliest blogs I wrote about a product that we stocked called Rydlyme which our marine engineer has used on a number of occasions with success in solving overheating issues in outboard and inboard engines. 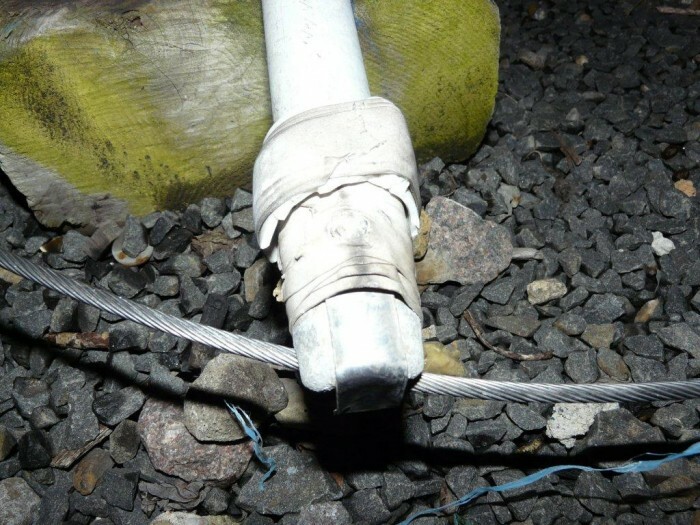 Well the other week Andy Laurence, who incidentally is your first contact when it comes to web orders, came up trumps with a problem we had encountered on a customer’s rigging. Dropped off in the chandlery was a couple of shrouds for replacement and still attached were the round spreaders with an alloy tip which had been fastened with a stainless bolt. Over the years the stainless had reacted with the alloy and as you can imagine the end was ‘welded’ together and the shroud likewise. We had of course tried all the usual things: penetrating spray, boiling water, brute force i.e. the “Glasgow Screwdriver”, with no success. The solution to freeing it all up was to pour some Rydlyme in a container dunk the assembly in the liquid and leave overnight. Next morning the shroud was free and could be removed. We were happy and so was the customer who had been faced with getting two replacement end tips made up at a cost of over £100-00! Incidentally, if the guy who had assembled the spreader end in the first place had used something like Duralac or Tefgel when building the rig, this could have been avoided, but they never do. It is always someone else’s problem! 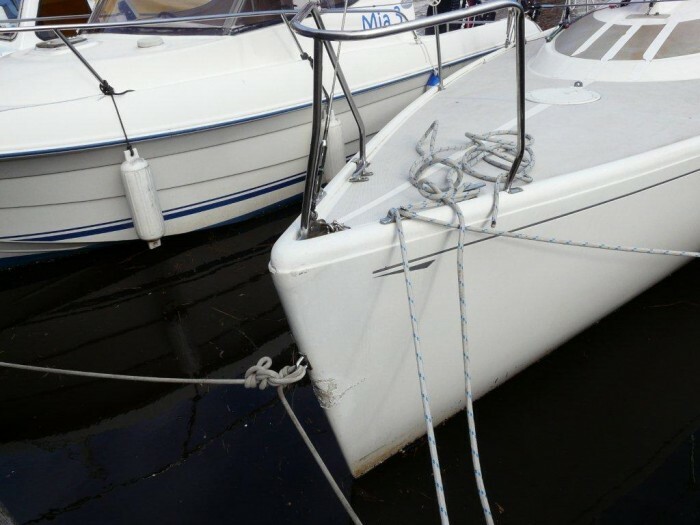 This entry was posted in General Interest, Products in the spotlight, Top Tips Tuesdays, Repairs, Maintenance, Rigging, Life Onboard and tagged marine descaler, Rydlyme on February 16, 2016 by Rob Storrar. 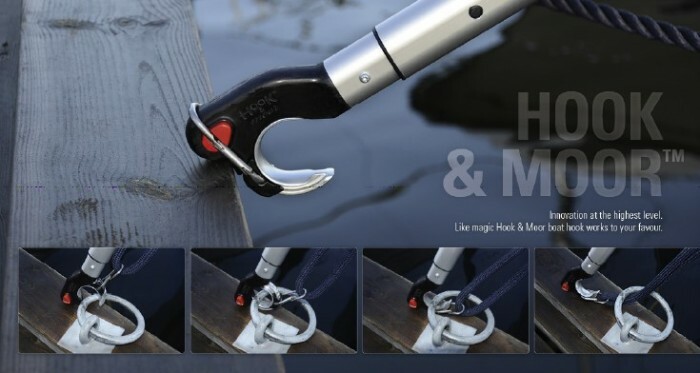 Hook and Moor is easy to use, extends to over 3mtrs if you should need it and apart from being superbly engineered it even gives one the ability to retrieve a mooring line should the situation warrant it. For your chance to win one of these superb Hook and Moor boat hooks, a buoy and some mooring rope to practise with all you have to do is like us on Facebook. Closing date: Monday 15th Feb 2016. The winner will be announced in next weeks Top Tips! This entry was posted in General Interest, Products in the spotlight, Top Tips Tuesdays, Competitions, Cruising, Gift Ideas, Life Onboard and tagged Mooring, Hook & Moor, Boat Hook on February 9, 2016 by Rob Storrar. Last year with a help from PBO columnist Mike Coates we put together what we thought was the definitive work on antifouling, as the response was so good from both customers and a couple of the A/F paint sales managers we decided to repeat the article this year but add a little more. If you haven’t read it or read and forgotten just here it is again "A Definitive Guide To Antifouling" so you can read and inwardly digest Mikes words of wisdom! 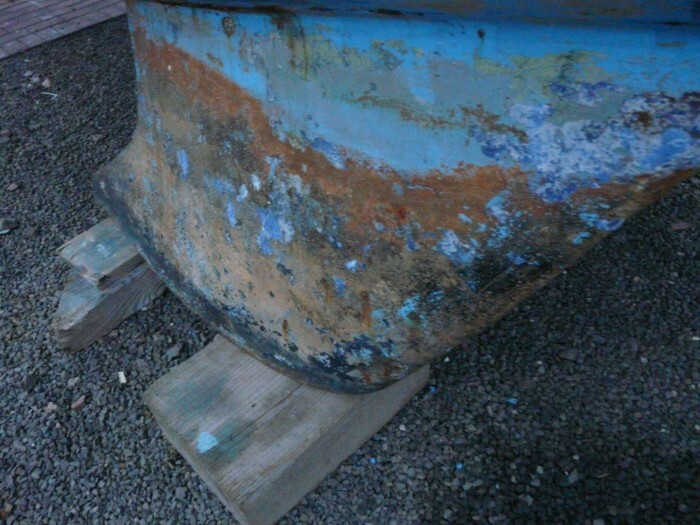 This entry was posted in General Interest, Top Tips Tuesdays, Maintenance, Cruising and tagged Antifouling, Preparation, Top Tips, How to, Guide on February 2, 2016 by Rob Storrar.